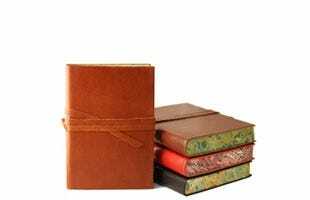 All leather journals and notebooks are handmade in Italy, and come in a variety of sizes and colours. 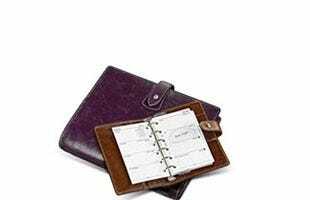 We are delighted to offer personal organisers from Filofax which we can emboss (a unique service in the UK), available in leather and PU. Our embossing service uses a traditional hand-operated letter press, applying both heat and pressure to create an indent (silver or gold leaf can be added). 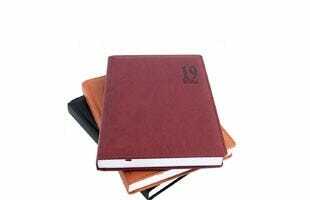 Journals and organisers can be embossed with initials, one line and two lines. Leather wallets and pen cases only take initials. The thick pages of our leather journals offer an unparalleled experience for capturing your thoughts or sketches, perhaps on your travels. All our notebooks are hand-made in Italy by master craftsmen using the finest, supple leather. Choose your preferred size (A7 to A4), refillable or non-refillable, lined or plain paper and your embossing (blind, silver or gold). The Sorrento is great value from £14, whilst the Chianti has an old world feel with its distinctive marble spine. 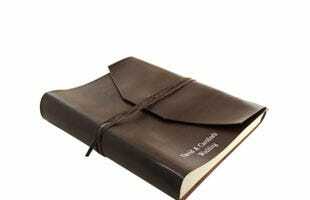 Many journals can be shut with a tie, protecting the pages. 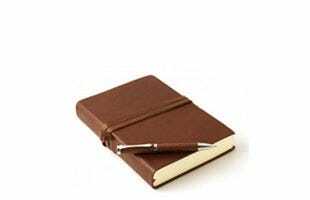 We stock a selection of notebooks in a variety of sizes ranging from pocket to extra large, in a choice of paper types, and soft or hard cover. Most feature an elastic closure which keeps loose papers in tow and a ribbon marker. The Moleskine professional notebook has an innovative page design to help keep you organised, whilst the Leuchtturm1917 bullet journal encourages creativity through the use of the ‘rapid logging’ system. Emboss your notebook for that final touch. 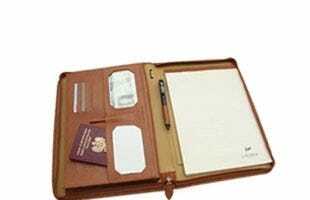 If you carry your pens in a briefcase or pocket, a pen case helps protect them from unwanted scratches and bumps. 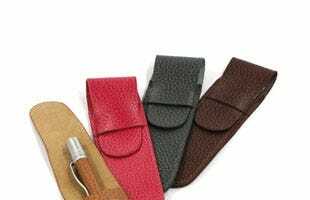 All our cases are made from leather, available to fit one and two pens. We offer pen cases from some of our well known brands such as Cross and Lamy, whilst our ‘Online’ range is suitable for all. Treat your pen to a Graf von Faber Castell pen case, exuding luxury with its handstitched, grained Italian calfskin leather. If you have a compact pen, our ‘Online’ leather mini zip case will fit. 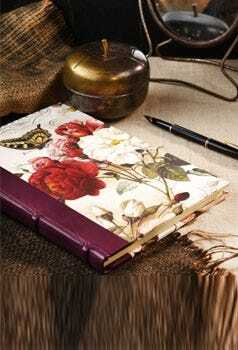 A personal organiser is a professional and stylish way to ‘organise’ your handwritten notes, ideal for meetings. We stock Filofax organisers in both leather and PU, a budget option available in fashion colours such as poppy and aquamarine. Choose from our smallest ‘pocket’ size suitable for a small bag, all the way up to A4 which is ideally suited to a desk. The Filofax Malden has a vintage antique leather effect with an opulent feel whilst the Saffiano zipped organiser can also double as a clutch. A carefully matched journal and pen set makes a valuable style statement. Classic combinations such as brown leather with chrome are ideal for projecting a professional image, whilst our more colourful combinations would make a nice companion on your travels. Journals are handmade in Italy from fine leather, with pens coming from reputable brands such as Parker and Cross in either ballpen, fountain or rollerball. Choose our embossing service and have your journal personalised. Both a practical accessory and stylish fashion item, a leather wallet makes a great gift. Handmade Italian leather and silk linings feature, alongside other fine materials in a range of colours and textures. 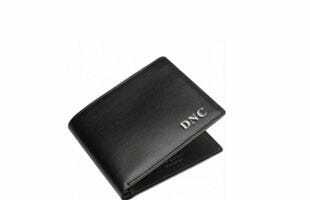 Choose from coin pocket wallets, classic billfolds and credit card holders. Add embossed initials (blind, silver, gold) to make a truly personal gift. Byron and Brown wallets are the quintessential classic wallet made from soft Italian leather with silk lining. Dents offer great value with a button fastening feature. 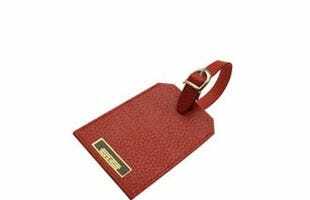 Nervously patting down pockets for your passport or boarding pass will be a thing of the past with our collection of leather travel accessories. Textured leather passport covers, document holders and wallets will keep all your essentials to hand, whilst our leather journals are a great way to store those precious memories. Take advantage of our in house personalisation service and have a name or initials embossed for a special gift. Handmade in Italy from supple leather, our collection of photo albums will make a stylish accompaniment to your photographs, perfect for special occasions such as a wedding or christening. Choose from a range of styles including those with wraparound ties, different textures of leather and sizes. Our large size measures 23 by 30cm, whilst the smaller size comes in at 15 by 20cm, and both feature 50 sheets with a protective cover. Add the finishing touch to your photo album by taking advantage of our in-house embossing service. Ideal for the businessman or businesswoman on the go, the pad portfolio is less bulky than a briefcase and fits all your essentials. Convenient pockets, pen holders and zips means you will have everything to hand in a well organised space. All our pad portfolios are made from leather, and feature a handy zip closure. 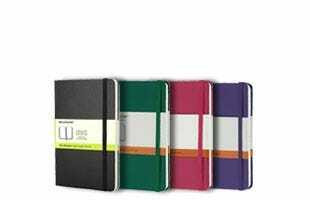 Filofax is a great option if you also need a diary, to do list, address book etc. In 2014, with the whole world ‘ON’ all of the time it can be very difficult to remain fully focused each day. So that you accomplish the things that you really want to achieve, rather than getting waylaid by all the inevitable interruptions that occur, here are some tips to help you.